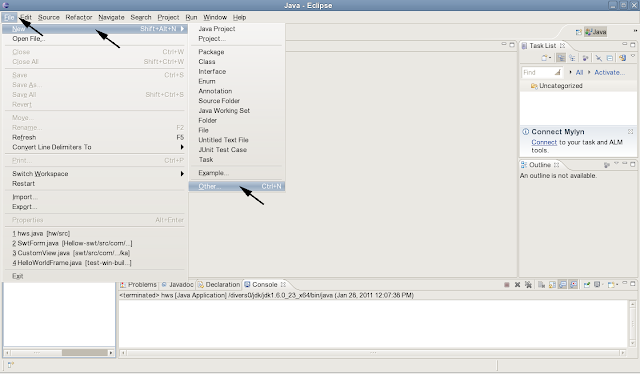 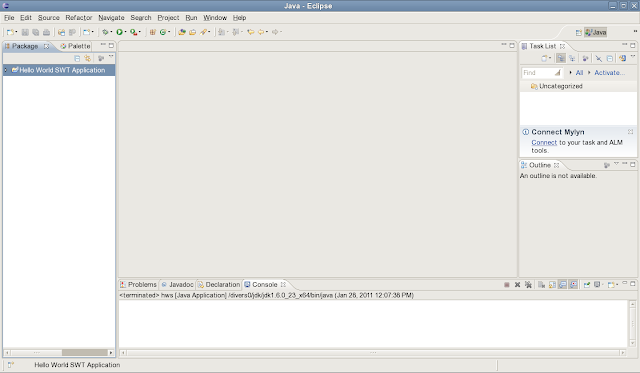 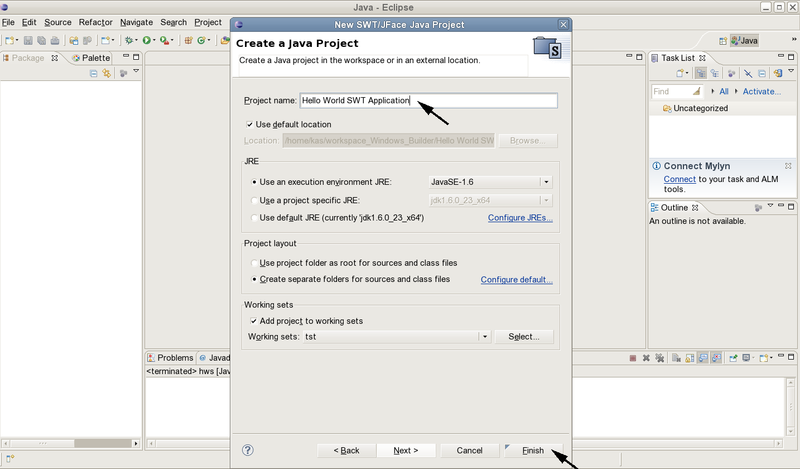 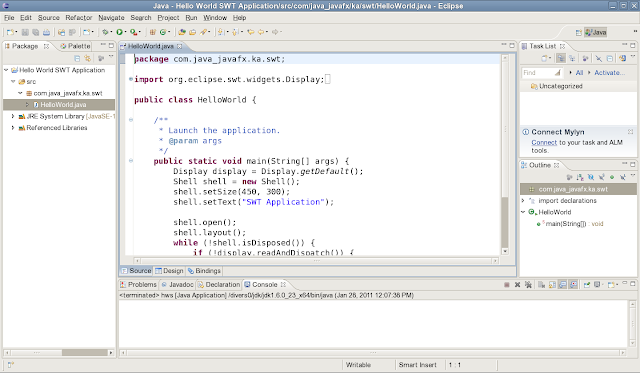 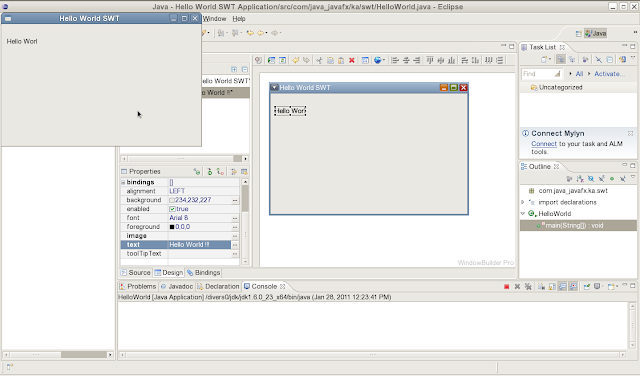 In a previous post, I have described installing WindowBuilder and a first Swing HelloWorld, using WindowBuilder, the very powerful tool given by Google , as a new open source project with major code contribution to Eclipse Foundation. 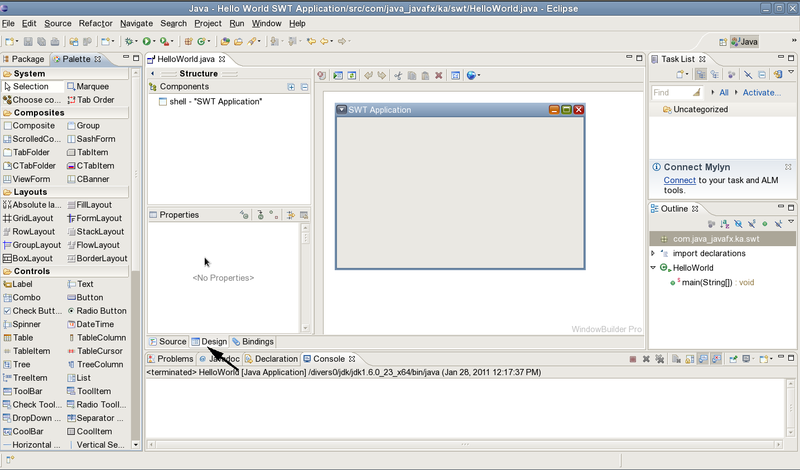 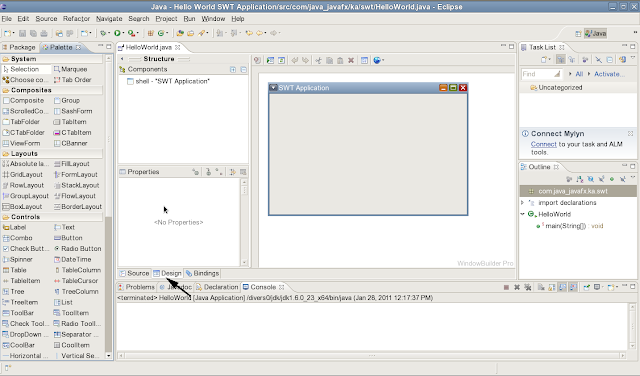 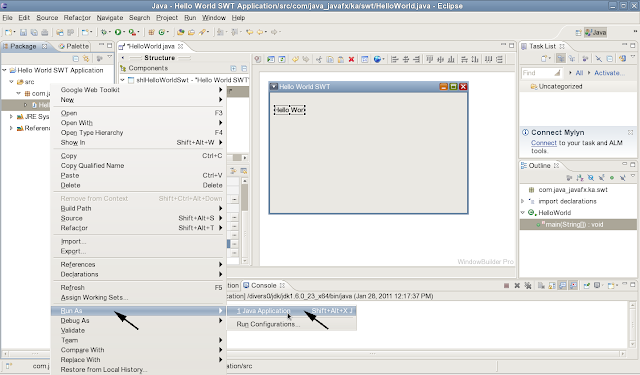 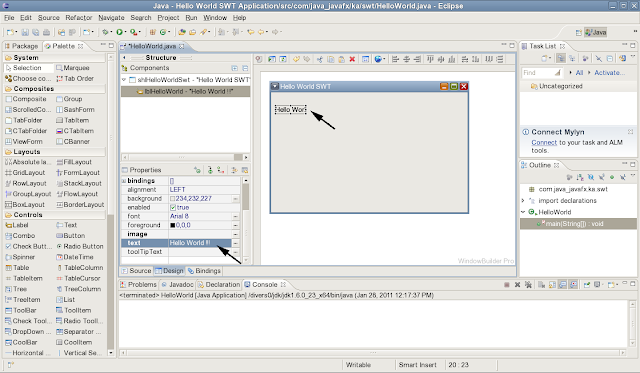 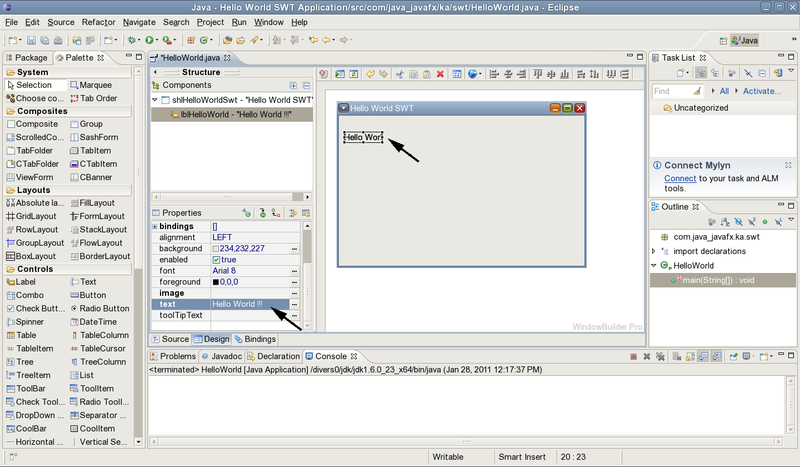 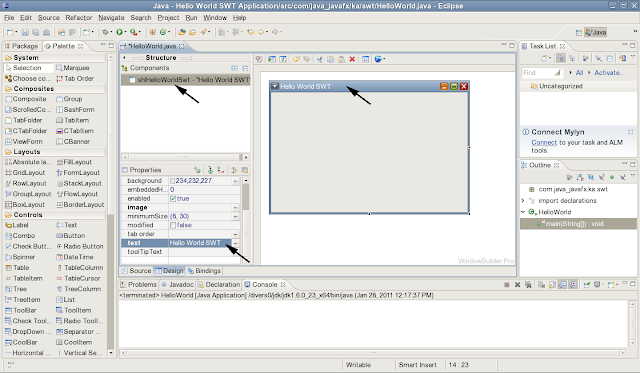 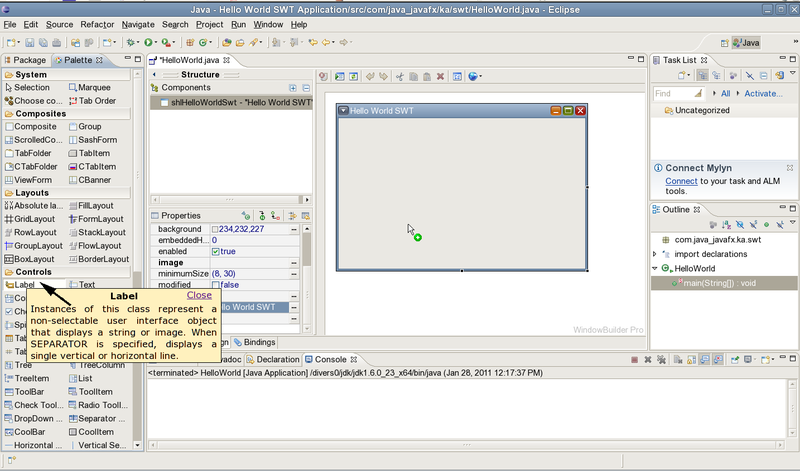 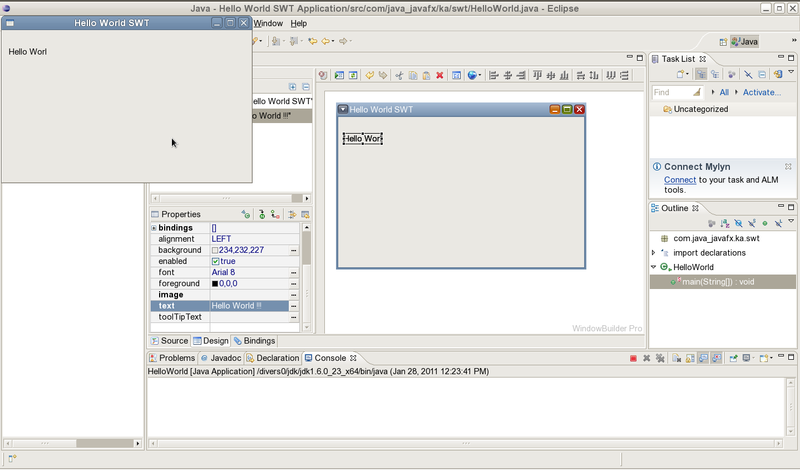 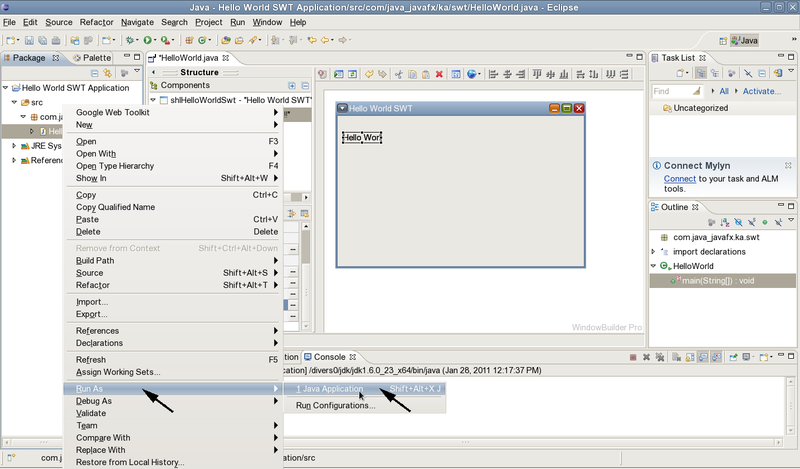 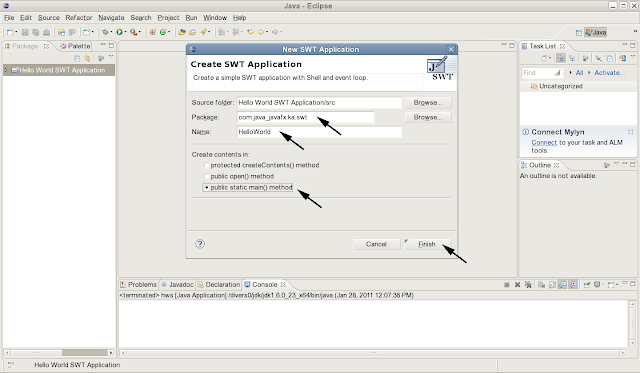 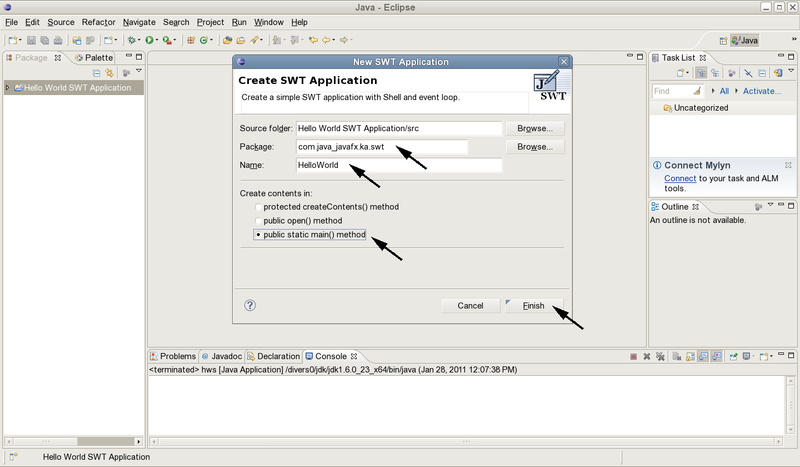 In this little tutor we will display HelloWorld, using a SWT application. 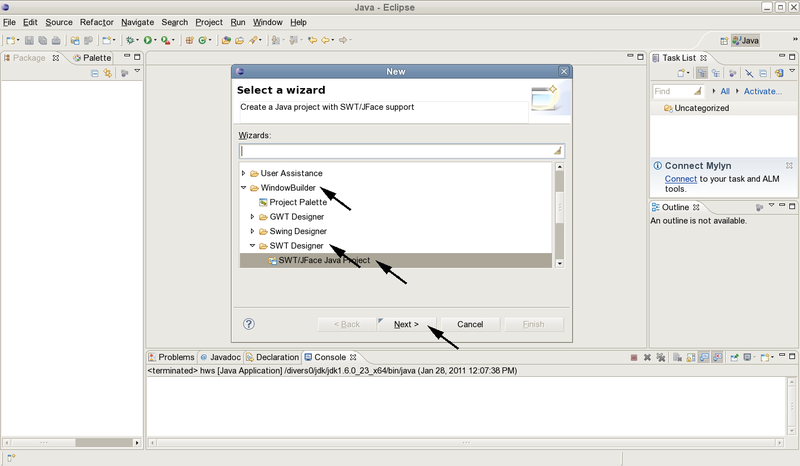 In the tool bar -> click on the arrow in "Create new visual classes" icon -> SWT -> Application Window. 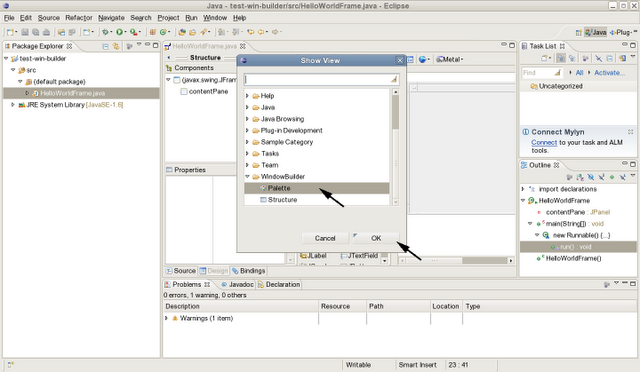 A click on "Design" tab opens the design view and the "Palette"
Click the Label in the Palette -> move and click onto the window. 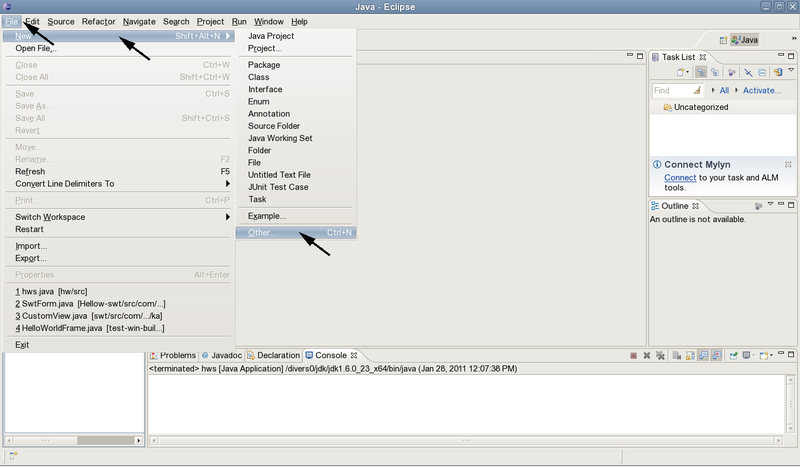 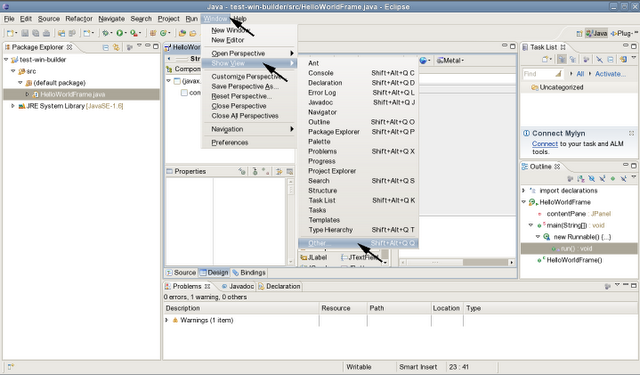 Modify it's text for instance in properties view. 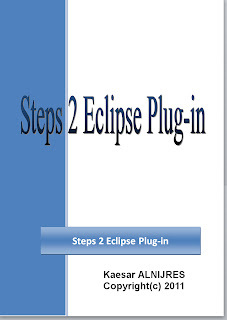 please back to me as soon as you can. Use a Text widget. 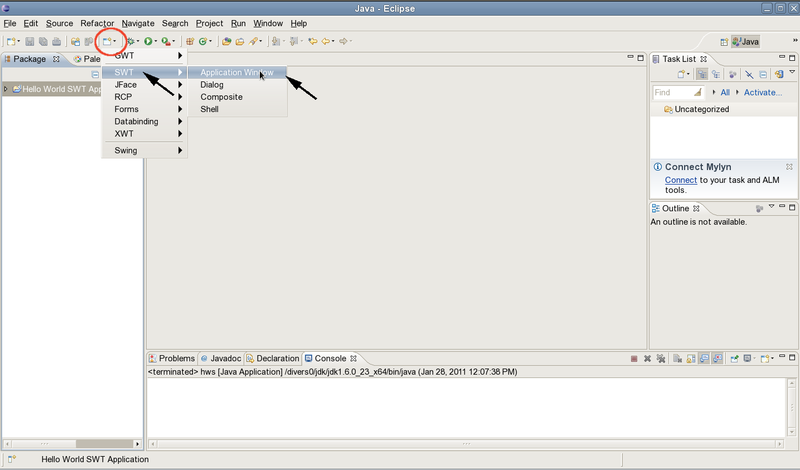 In text's properties view click on "Style" to open the expandable list > Check password > save and you're done.